Sartell lost by a point to Fergus Falls on January 15th. 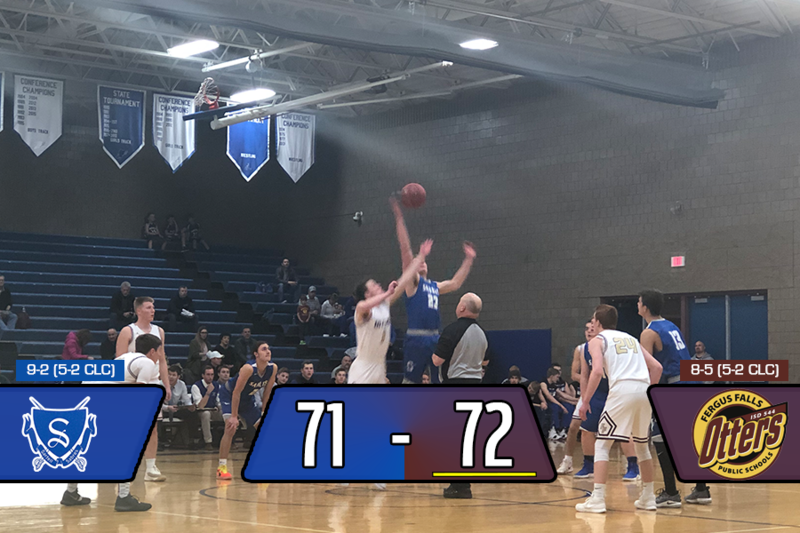 On Tuesday, January 15, 2019, the Sartell Sabres Boys Basketball team hosted the Fergus Falls Otters for a big CLC matchup. The Sabres entered the game, with a 9-1 record with a 5-1 record against CLC opponents. The Otters entered the game with a 7-5 record and a 4-2 record against CLC opponents. The Otters got out to a small 4 point lead early behind a couple lay-ups, but the Sabres answered back and took a 1 point lead with 10 minutes left in the first half. The game remained close throughout the first half, with each team only being up 4 points at one portion of the game. 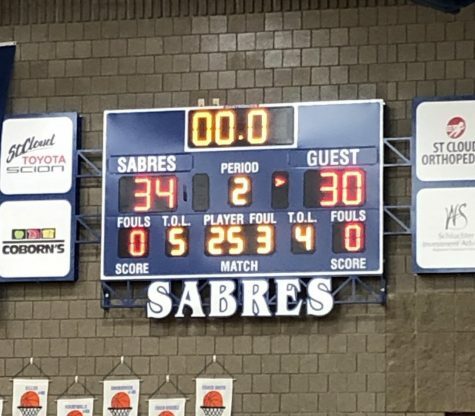 The half ended with the Sabres ahead 34-30 fueled by a 12 point half from senior forward, Luke Tillotson. The Sabres and Otters played another close half where neither team was able to build a double-digit lead. After 11 minutes of play time in the 2nd half, the Sabres and Otters each had 57 points. The Otters were able to jump out to a small 3 point lead with 4 minutes left to play. 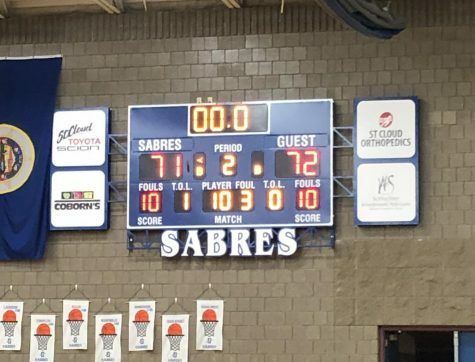 With 17 seconds left to play, Fergus Falls made a 2 point shot that would secure their 72-71 win over the Sabres. The Sabres were led in scoring by senior forward, Thomas Gieske, with 26 and senior forward, Luke Tillotson, had another 21 points. The Sabres currently have a 9-2 season record and will travel to Willmar on Friday, January 18th, 2019 for another big CLC matchup against the Willmar Cardinals.